Manufactured in durable120x1000mm elliptical aluminum that is easy to use, light in weight and much safer than steel goal posts around children. After use, these goalposts can be easily lifted out and removed saving wear and tear in penalty areas. 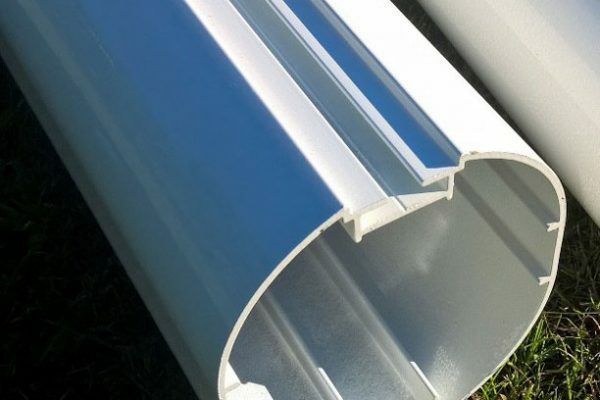 Aluminium goal posts include recessed twist and lock net fixings on the rear of the posts to ensure fast easy net fitting without the need for tying and unsightly tape. In secure locations or gardens, the goals can be left in place or in exposed pitches the goals are fast and easy to take down to discourage and prevent vandalism. 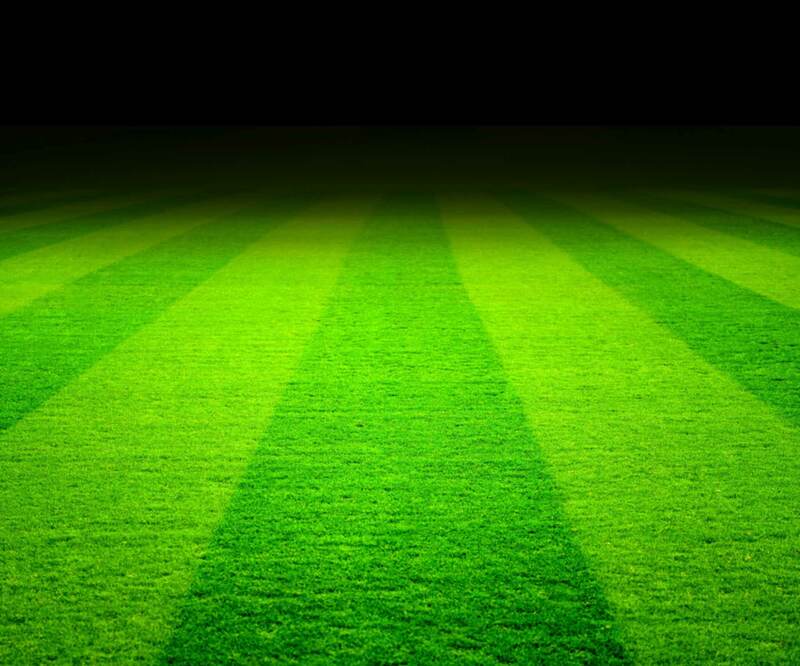 The goals are virtually maintenance free and rust proof. 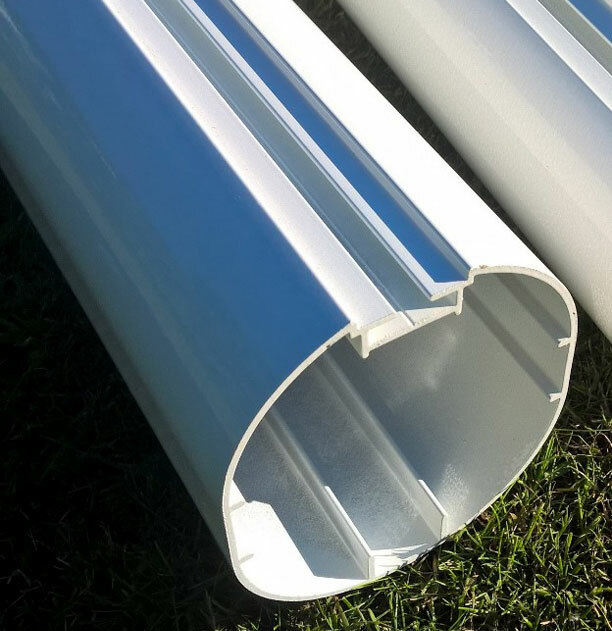 Goals are supplied in a professional white epoxy coating finish. 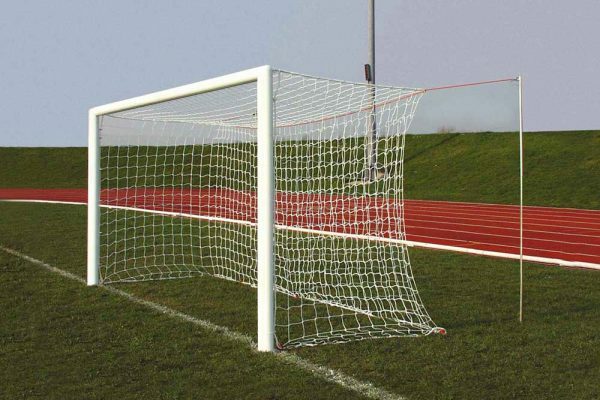 The photograph shows a goal post with an optional box shaped net and two steel net support poles, these items are supplied separately. Plastic socket caps are supplied to protect the socket hole in the close season. Alternatively, this goal can also be used in conjunction with a standard shaped net. 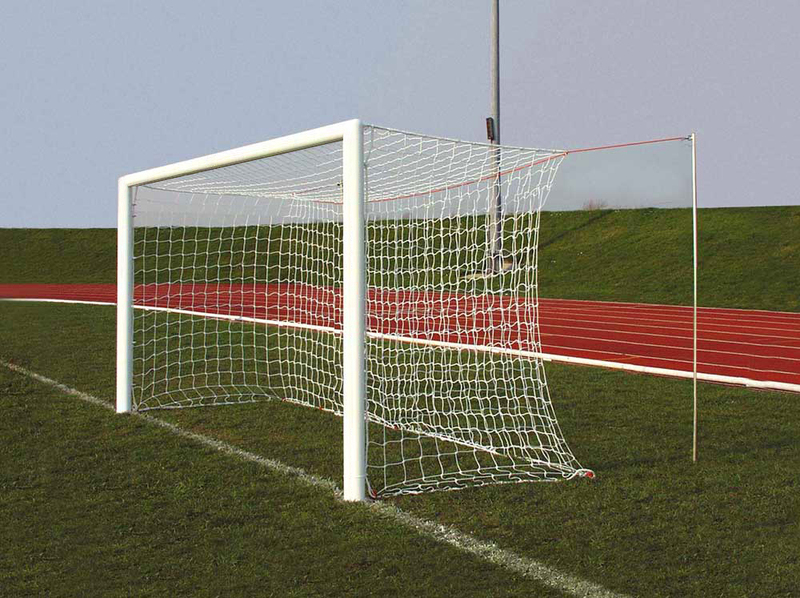 Additional top goal net supports or a full sloping back stanchion is available separately. £373.75p inc VAT click to buy online. With regards to the goals they have really enhanced our players match day experience with a great look in the words of the boys their premiership goals and the parents have had no end of complements about the ease of putting them up and the time we save each week is brilliant better experience for all to enjoy the football . St. Theresa’s Roman Catholic Primary School, Sheffield. We purchased your aluminum goals in October 1997. These goalposts, although portable, have been left up on the school field. For training sessions and obviously school matches there is a buzz among the children taking part when they are adding the net to the posts. The goalposts have stood up to a lot of use by the children and more recently to the strong gales we have had. I also bought a base for the original mini soccer goals and I have them erected on the hard surface of our school playground. They are used constantly every playtime. The Junior children are getting a lot of fun out of your portable goals and I am presently in the process of purchasing the smallest football goals you have with a base so that our infant children can have a similar experience in their playground. “The best piece of sports equipment the School has purchased in years .